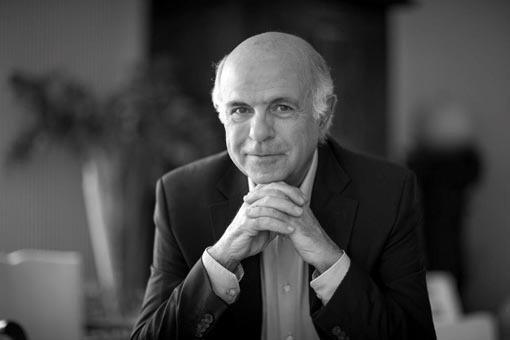 Jean-Jacques Bréban, Chairman and CEO of the House of "Vins Bréban", inherited his passion for fine wines from his father, Raymond Bréban. In 1952, the company founder, Raymond Bréban discovered the wines of Provence and decided to devote his life to the production and promotion of quality wines in Provence. By 1960, he had established key partnerships with two wineries and built lasting relationships with consumers and winemakers that endure to this day. 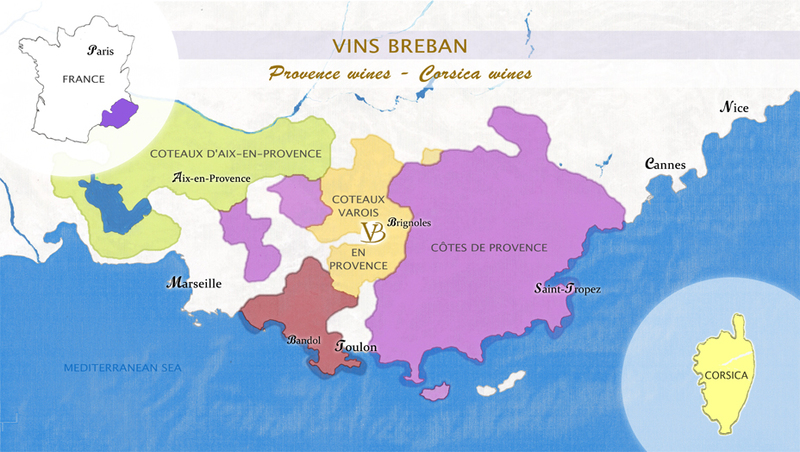 The production of wines of Provence, their growth, development, and marketing are the heart of the business of the House of "Vins Bréban." Always attentive to customers and the needs of their partners, the House of "Vins Bréban" considers all factors relating to each particular variety of wine to be produced, taking care to account for soil conditions and always remaining faithful to the traditions of the wine-making art in Provence. Jean-Jacques Bréban, the son of Raymond Bréban, took the reins of the company in 1968. He continues to work with an unparalleled commitment to product excellence. Under the leadership of J. J. Bréban, the House relies on principles of quality, authenticity, respect for culture and the farming. J. J. Bréban is on a constant, never ending quest, to discover new flavors that will faithfully portray the best of past and present winemaking traditions. 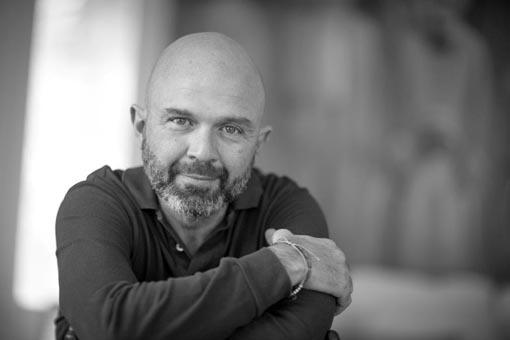 Jean-Jacques Bréban is deepening relationships with partners and other stakeholders, while further developing partnerships with the more than 20 independent domaines which currently work in collaboration with “Vins Bréban”. Such collaborative ventures expand the range of “Vins Bréban” wines to more than 50 different wines currently being marketed by the company. Owing to management’s absolute respect for nature, the production of quality wine derived from many noble grape varietals has led the company in the direction of supporting and developing two areas of organic wine production. With 30 employees, the Bréban family has established a dynamic and efficient company core of committed business professionals. The family team possesses extensive knowledge of the vineyards of Provence, regional wine making techniques, and long-term reliable relationships with its partners and customers. The third generation Bréban family team is devoted to the same winemaking philosophy passed down from the time of Raymond Bréban. Each member of the team is expected to carry forward the commitment to authenticity and the ancestral knowledge of Provence wines. Under the leadership of Jean-Jacques Bréban, the company has invested in expanding the company’s export business. He continues to promote the oldest wines of France - Provence wines - abroad. The first sales contracts were signed with the United States, Canada and England in 1990. Today, the House of “Vins Bréban” generates about 30% of its annual sales revenues from exports, and aims to expand into new markets such as China, Brazil and Australia. 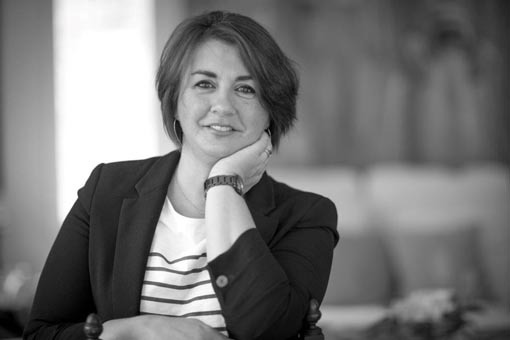 With 8 million bottles of Provence and sparkling wines marketed each year, the sustainability and expansion of the House’s business is driven by the third generation of the Bréban family. J.J. Bréban’s son, Laurent, now works for the company and his efforts are dedicated to the sales department management. His youngest daughter, Julie, is the company’s main administrative and financial executive. In compliance with a decree on environmental commitment throughout French society, "Vins Bréban" includes the “Triman” logo on its product packaging: a visual symbol alerting consumers that the packaging is subject to being sorted after use and subsequently properly recycled. The Triman logo consists of three graphical elements. The human figure in the foreground symbolizes the individual citizen. Note that the figure is turned to the right, naturally facing in the direction of a brighter ‘greener’ future. This visual element is meant to underscore the central role of the citizen consumer in caring for the environment. It is intended to remind citizens of their individual and collective responsibilities in meeting social and environmental challenges for the good of society-at-large. The three arrows symbolize the range of sorting options associated with proper recyclable waste management. 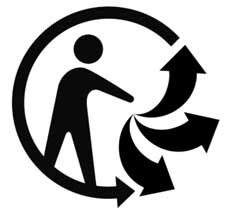 The circular arrow surrounding the silhouette is intended to capture the closed nature of recycling process. The Triman graphic was created in response government decree and its application came into force for any recyclable product placed on the market after 1 January 2015. For questions concerning the Triman product packaging and labeling regulations, please visit the Decree on Légifrance web site for additional details.